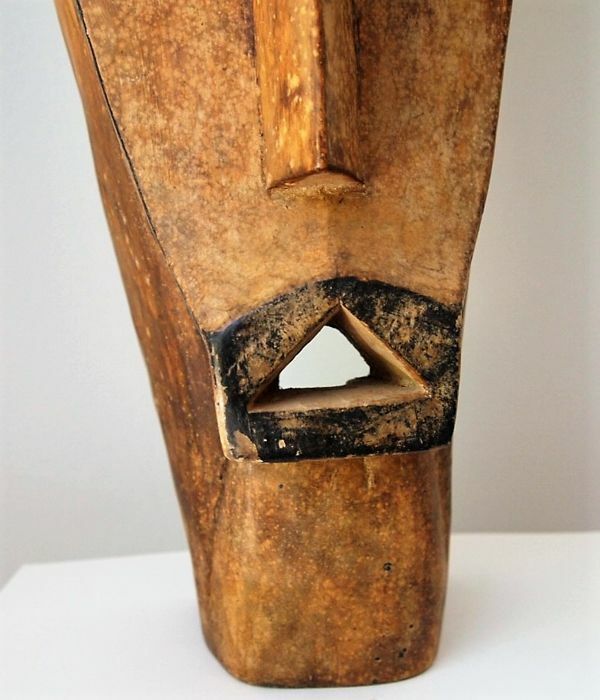 Zoomorphic mask of the DOGON people, that still live in the former Tellem area at the edge of the BANDIAGARA Cliff in MALI. The period is ca. late previous century. 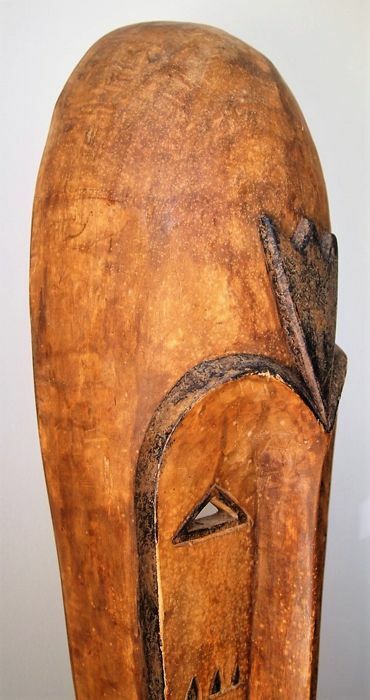 It is certainly not a ‘docile’ mask, though more a reflection of dark Africa and it has a very special appearance. The dimensions are: Height 70 cm. Width 23 cm. 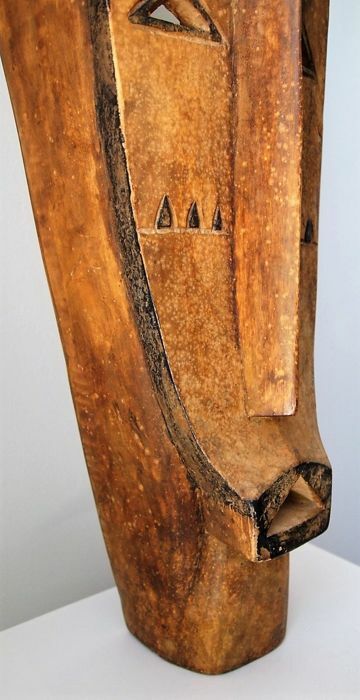 As is often the case with African pieces from this period it has some signs of wear but they are not disturbing. In fact they give the mask more character.